Humboldt State University Library seeks a forward-thinking, service and team-oriented Teaching and Learning Librarian who is interested in instruction and programming for undergraduate student success. This temporary 12-month position carries faculty rank. Early career applicants are encouraged to apply. Please view the Job Description: Library (Pool Job #7227) for complete details about the duties of the position. HSU Library offers opportunities to be creative in instruction and programming, and encourages librarians to develop projects related to their individual goals. If you are interested in collaborating with librarians, faculty, students, and staff in support of teaching, learning and research this may be the job for you. Check out our Annual Report to see what HSU Library has done to foster a community that supports scholarship, creativity, and innovation on campus. Humboldt State is a public institution and part of the 23-campus California State University system. HSU has over 7,500 students and offers a wide array of academic choices, with 51 majors and 12 graduate programs in three Colleges. Faculty members are among the top teachers and researchers in their fields. 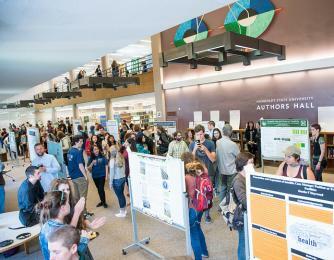 Programs in natural resources and sciences are nationally known, while visual and performing arts are also popular areas of study. Throughout the curriculum, students find a long-standing commitment to social and environmental responsibility. Humboldt State is surrounded by one of the most beautiful natural environments in the world—with ancient redwood forests, pristine coastline and wild rivers.